The perfect treat that massages and polishes your pet's gums and teeth while they chew to their delight. With brown rice and natural chicken flavors, it is designed to be highly palatable, nutritious, and freshens doggy breath. All natural, holistic recipe that contains vitamins, minerals, and antioxidants. Promotes healthy skin and coat, strong joints, and digestion. Your pet will go "Simply Wild" over these. Like your favorite healthy snack that is tasty and has beneficial properties, these soft chews allow your pets to take their medicine and enjoy it too! Contains Glucosamine, MSM, and Creatine for healthy joints. 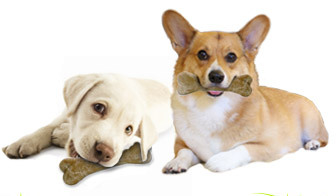 Let your pet live a little with Liver Bits! Freeze dried to preserve the full aroma and flavor of beef live, they contain no preservatives and are high in protein. We have yet to see a dog that doesn't salivate when hearing the popping sound of a Liver Bit container being opened. 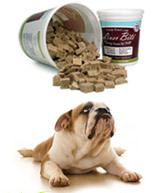 For more information about Green Pet Organics™, click here.